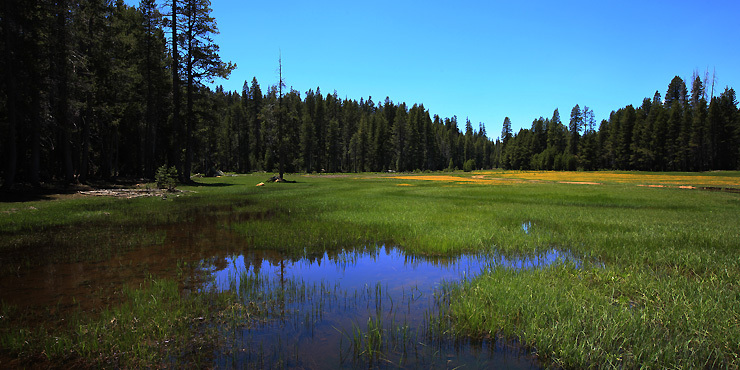 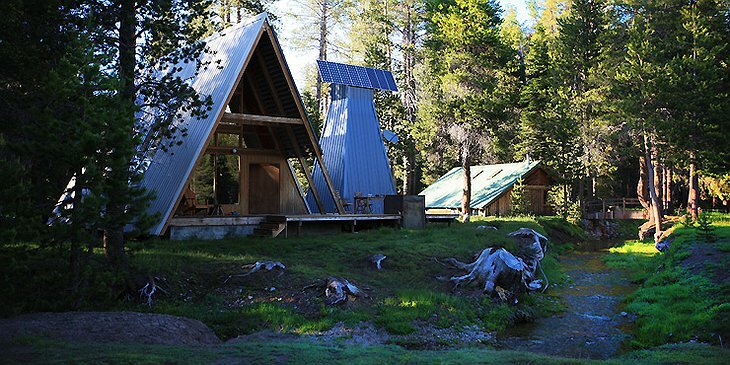 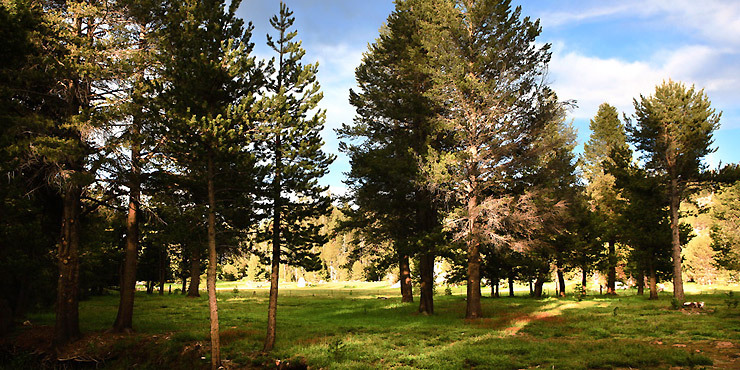 The A-Frame is one of a range of accommodation in the Sierra National Forest provided by the Far Meadow organisation. 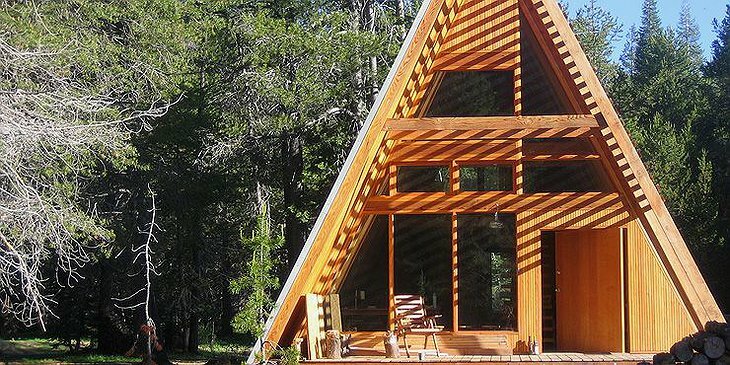 The woodland cabin is as American as apple pie (which was originally a British dish but hey, let’s not argue the toss). 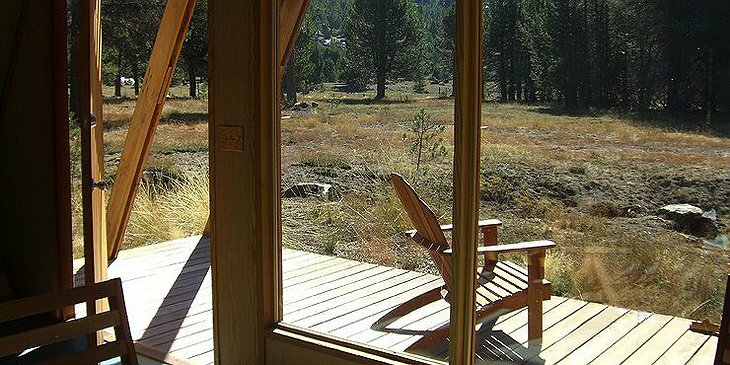 Traditionally, cabins were built in remote wooded areas where Thoreau’s cry of ‘simplicity, simplicity, simplicity’ can still be heard amongst echoing through the transcendent trees. 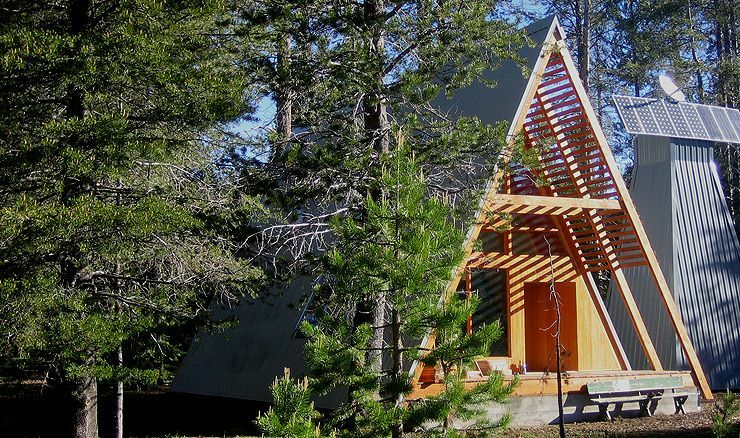 The A-Frame is a two-storey wooden lodging deep in the forest. 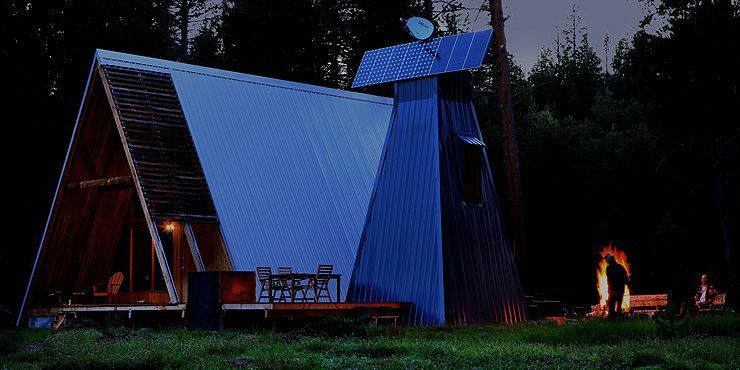 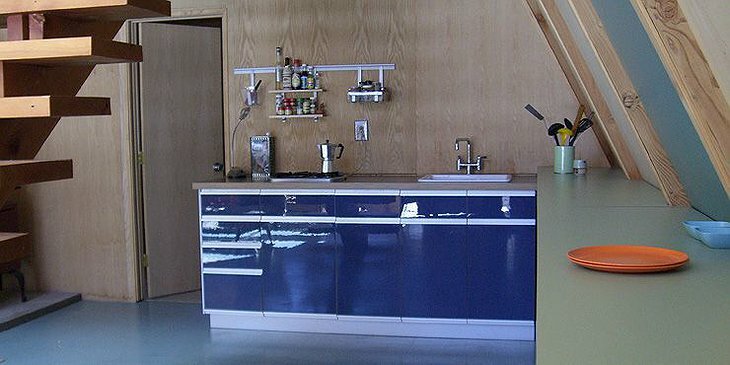 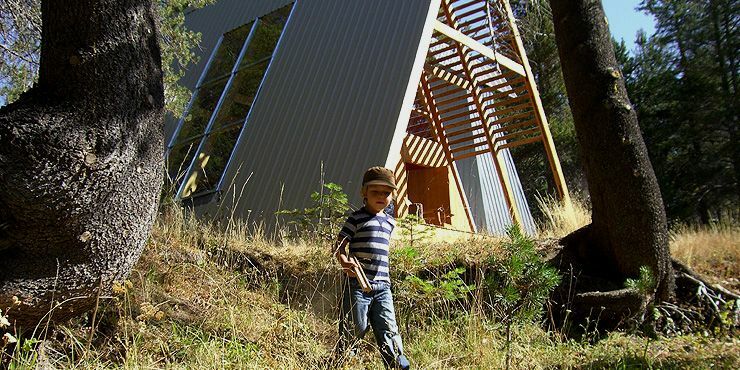 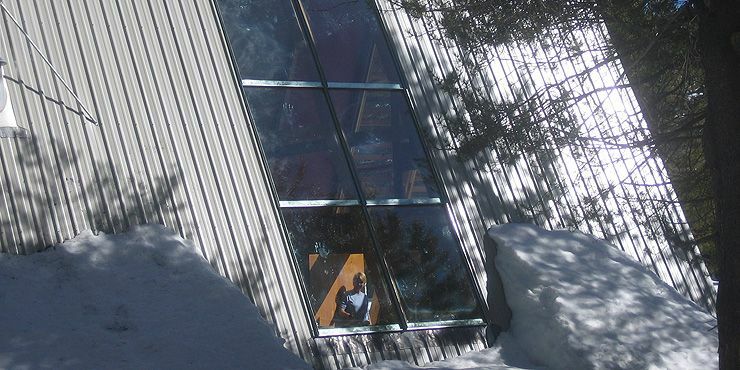 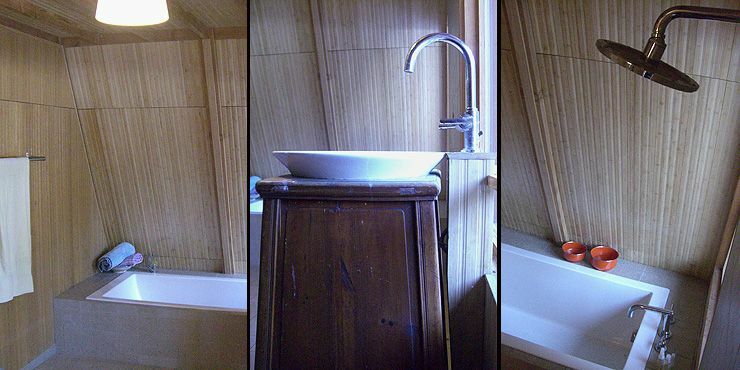 It is heated by a wood-burning stove and powered by solar energy. 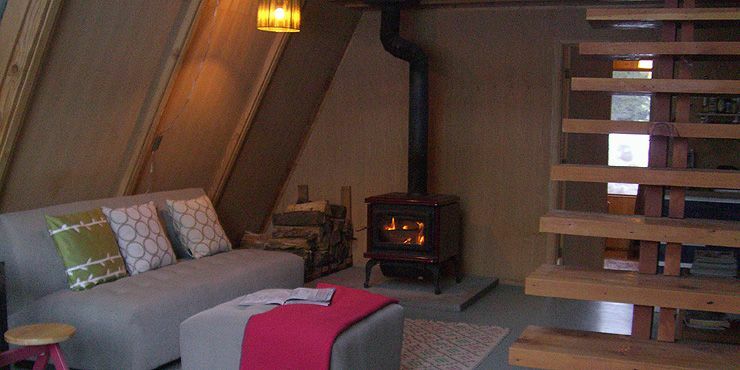 In the evenings the insulating wood and fire make for a very cozy experience. 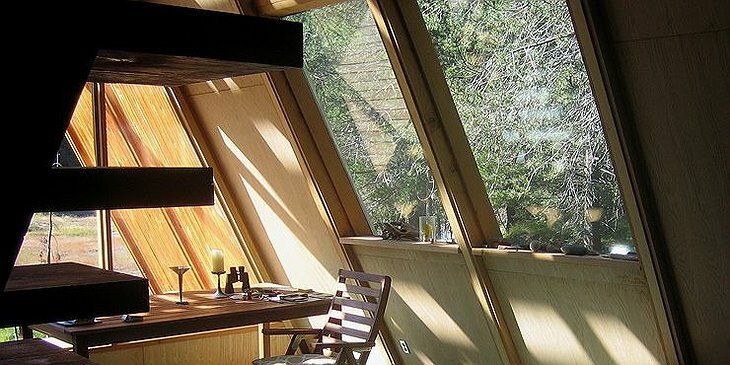 The floor-to-ceiling window and skylights open up the space inside and give amazing views of the nearby mountain and stream. 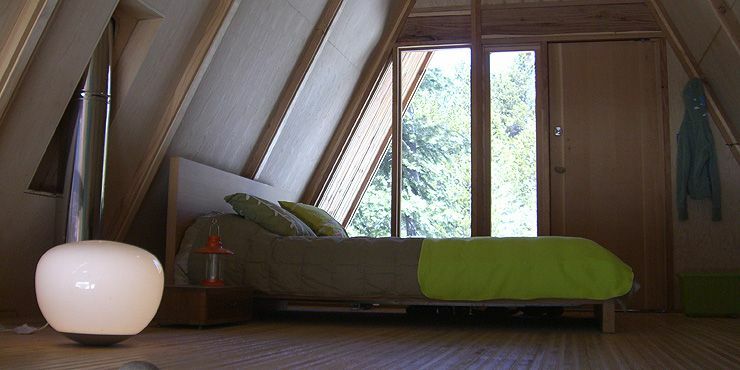 There is a queen bed on the top floor and a sofa bed on the ground. Outside there is a fire pit, barbeque and outside dining furniture.